8 ½ Festa do Cinema Italiano is a festival aiming at introducing the best and most recent Italian film productions throughout Brazil. All over the country indeed, as 12 cities are involved in the screening of the 11 films in programme. Among them, Made in Italy, the third film Ligabue realized as director, awarded Nastro d'Argento 2018 for Best Story. Made in Italy is a declaration of the love-hate relationship with the Country told through the eyes of Riko, a common man. 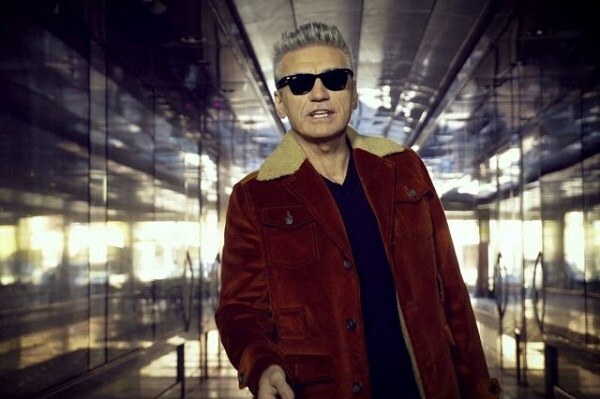 It’s Ligabue’s alter ego, the man he could have been if he hadn’t been swept away by music. The film received the support of Emilia-Romagna Region. In 2018, it has been abroad at the Italian Film Festival in Warsaw, the Italian Film Festival in Tokyo and the Italian Contemporary Film Festival in Toronto. Moreover, on the occasion of the First Week of Italian Cinema in the World, it was screened within the “Semaines du cinéma Italien” in Brussel, in which the Emilia-Romagna Film Commission took part to introduce its activity and present this and other production projects supported with the Emilia-Romagna Audiovisual Fund. 8 ½ Festa do Cinema Italiano is organized by Association Il Sorpasso in collaboration with Mottironi Editore e Eventi and is supported by the Embassy of Italy in Brasilia, the Italian Cultural Institutes in São Paulo and Rio de Janeiro, and Cinecittà Luce.